Masala bonds are Indian Rupees (INR) denominated debt instruments that are issued outside of India. Since these bonds are issued outside of India, they are settled in US dollars (USD). 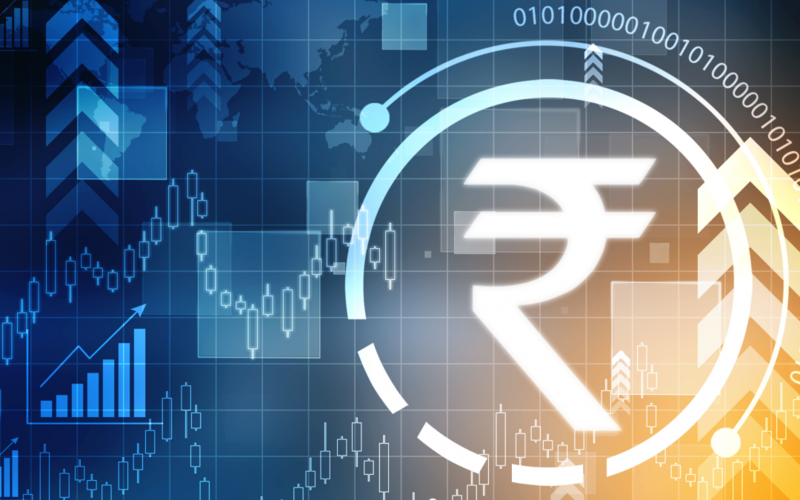 The unique feature of masala bonds is that Rupee currency risk is borne by bond investors instead of bond issuers as it would be if an Indian bank or corporate were to issue in a foreign currency. This means that a masala bond investor’s return will be lower/higher than the stated yield if the INR depreciates/appreciates against the USD during the lifetime of the bond. Masala bonds are typically issued by Indian entities that are looking to raise debt in the overseas market. Current top issuers of masala bonds are HDFC Ltd, NTPC Ltd and Indiabulls Housing Finance. Masala bonds are attractive to bond issuers as it helps them tap foreign investor demand without taking on foreign currency risk. Masala bonds are typically bought by non-resident Indians and foreign investors. When looking at local currency bonds, foreign investors look for a relatively stable local currency and stable economic conditions in that country. Given higher inflation in India, interest rates on INR are currently higher than interest rates on major foreign currencies like USD, EUR and JPY. This makes the yield on masala bonds attractive for foreign investors as compared to bonds denominated in USD/EUR/JPY. However, investors prefer shorter duration bonds to limit risks such as that attributed to the economy or currency changes which may happen over longer periods of time. This is one of the reasons why most local currency bonds including masala bonds have a shorter tenor (typically 3 to 5 years). 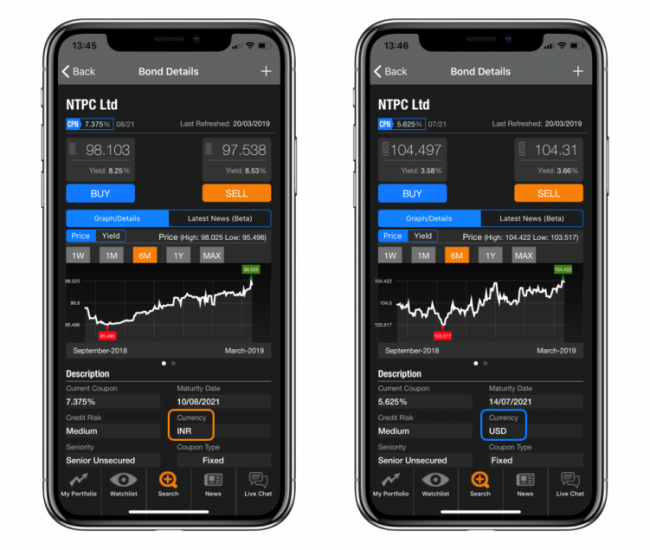 In order to illustrate why foreign investors may buy local currency bonds like masala bonds, let’s compare two bonds issued by NTPC Ltd., India’s largest electricity company that is owned by the Indian government. For a like-to-like comparison, we have selected bonds that mature within one month of each other. As can be seen in the table above, the NTPC masala bond due 2021 yields 8.39% if held to maturity. This is 4.77% higher than the yield on NTPC’s USD denominated bond due 2021. This explains why foreign investors are drawn towards local currency bonds like masala bonds. Do other countries have local-currency offshore bonds? Yes. Other countries also have similar local-currency denominated bonds that are sold to offshore/foreign investors. Some examples are dim sum bonds (denominated in Chinese Renminbi) and Komodo bonds (denominated in Indonesian Rupiah). Track masala bonds along with USD denominated corporate and sovereign bonds conveniently on the BondEvalue Mobile App or WebApp. Register for a free trial via the below links!